Some of the adopted scholars of Insular Life’s Adopt-A- Scholar Program, with Insular Life representatives led by Sr. EVP Jesus Alfonso G. Hofileña (2 nd row, middle), Sr. AVP Ana Maria R. Soriano (back row, middle), and PR Asst. II Kristine Michelle M. Tingzon (back row, extreme left), and IES representatives led by Principal Raul Felix (back row, third from left), and Adopt-A- Scholar Coordinator Ms. Rebecca Kondo (back row, extreme right). Samuel Bryan Daduya (middle) receives his cash award for being the top scholar for SY 2015-2016. With him are Mr. Felix, Ms. Soriano, Mrs. Daduya, and Mr. Hofileña. Aside from their names, we often ask children what they want to become in the future. Usual answers include being a teacher, doctor, policeman, nurse, engineer, even the president of the country. Children begin dreaming at a young age. It is important, then, to sustain this through proper education. But in a country besieged by poverty, education can be quite expensive, even with the presence of the public educational system. After all, attending one’s classes is just one thing. There are other needs that must be met: school supplies, uniforms, bag, shoes, packed food, and transportation to and from school. Believing that small steps may be taken to make these children’s future better, Insular Life embarked on an employee-volunteerism program in 2009 called “Adopt-A- Scholar,” where employees voluntarily adopted more than a hundred Grade One students from Itaas Elementary School (IES), located inside the New Bilibid Compound in Muntinlupa City. In 2011, a new batch of 113 grade one students was adopted by employees. Those adopted in 2009 have graduated from grade school in 2015, while those in 2011 will graduate in March next year. The scholars come from the poorest families in the community and some of them are even children of prisoners and prison guards. 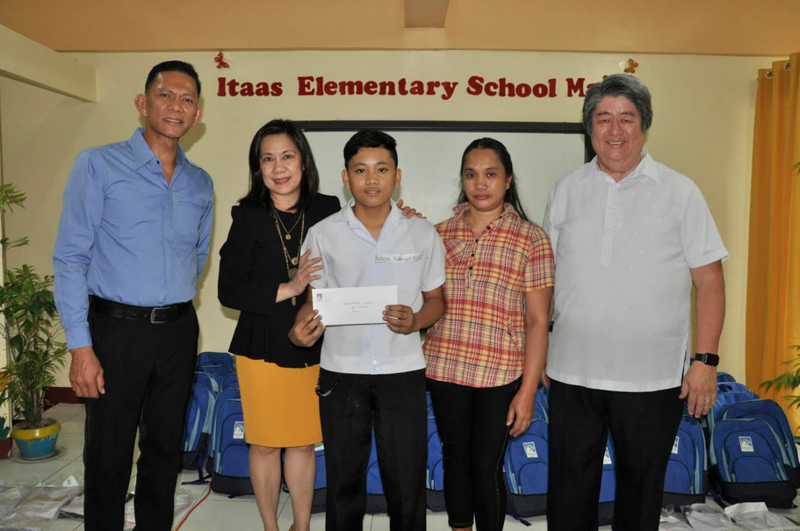 Their sponsors pledged to support their schooling by providing each scholar a year’s supply of school supplies, a set of uniform, a bag or a pair of shoes, and storybooks. These children look forward to the yearly turnover ceremonies where they would receive their school things from their sponsors. Scholar Mujahida Mikee Udal shares how the Program has helped her and her family, “Nakakatulong po ito sa pagtitipid sa gastos dahil po si papa ay hindi lubos makapagbigay ng financial support kasi po ang papa ko ay walang trabaho.” (It helps lessen our expenses because my father cannot give us financial support because he is unemployed.) This is echoed by scholar Mariel Bautista, “Malaking-malaki ang tulong na mga school supplies upang magamit ko ito sa aking pag-aaral. Ang mga bag, uniform, at shoes ay malaking tulong din sa akin at sa mga gastusin ng aking mga magulang.” (The school supplies are a very big help in my studies. The bags, uniforms and shoes are also a big help in lessening my parents’ expenses). And yet, again, for some, being a part of the Program is a commitment they have made between themselves and God. “I have made a commitment to God that 10% of my bonuses will be offered back to Him, so by sponsoring 5 children, I have partly fulfilled my promise to Him,” says Rey Ealdama, Senior Manager and Head of the Customer Information Management Department. Nation-building through education, is a responsibility that should be shared by every Filipino. We do our part in ensuring that our children have a good future if we sustain their need for education. 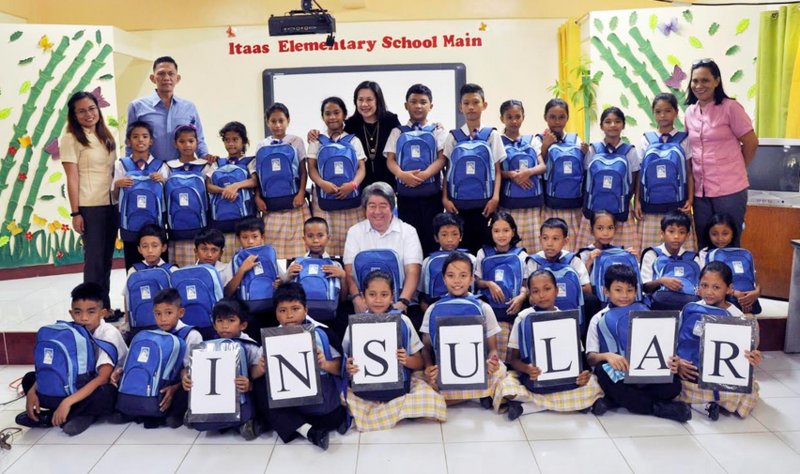 Insular Life’s Adopt-A- Scholar Program aims to accomplish this, little by little, so that these children can achieve their dreams and become productive citizens of our country someday.